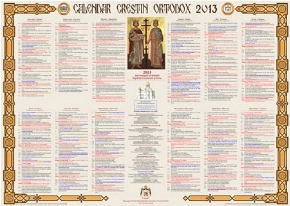 Welcome to the website of the Romanian Orthodox Church of Edmonton, Saints Constantine and Elena! The Romanian presence in Alberta is over 100 years old. It started with the first Romanian Pioneers who came from Boian, Bucovina, in 1898 and settled 100 km north-east of Edmonton, a place they called Boian. Just a few years after their arrival, in 1905, they consecrated their new church, Saint Mary of Boian. Fifty years later, in 1948, their descendents established the Romanian Orthodox Church of Edmonton, Saints Constantine and Elena. The church was consecrated on May 21, 1972. Our parish is under the omophorion of His Eminence Archbishop Nicolae of the Romanian Orthodox Archdiocese in the Americas, with the headquarters in Chicago, Illinois, USA, which is in canonical communion with the Patriarchate of the Romanian Orthodox Church. We hope that you will take the time to learn more about us by visiting our entire website. Thank you for visiting us and do come back from time to time, as we will make continuous updates! – Thursday at 7:00 PM: Bible Study. – Friday at 7:00 PM: AKATHIST TO THE HOLY VIRGIN. – Saturday at 5:00 PM: VESPERS. CONFESSION WILL BE HEARD AFTER EACH OF THESE SERVICES. On January the 6th we celebrate the Epiphany (Theophany), the Baptism of our Lord and Savior. Following the Divine Liturgy and the Greater Blessing of Water, Fr. George will begin the blessing of homes. Those who are interested, please sign in the sign up sheet, or call Fr. George at 780-473-0029. © Biserica Edmonton - Last modified: March 12, 2019.